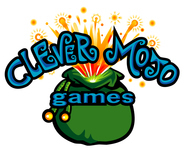 Clever Mojo Games (makers of the Dice Hate Me 2010 Game of the Year Alien Frontiers) is on the move! As reported on Dice Hate Me earlier, Clever Mojo has several games in development: the draconian deck-builder Princes of the Dragon Throne, the tile-laying Sunrise City, and the rather quirky, but totally radical Swinging Jivecat Voodoo Lounge. I’ve recently gotten my hands on a prototype of Sunrise City, and some sneak peeks at rules and playtest photos of Swinging Jivecat Voodoo Lounge, so may I present to all you dear readers, a little preview of the mojo ahead. 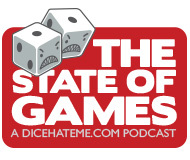 As many of you know, Dice Hate Me featured a brief interview with Sunrise City designer Isaias Vallejo last month which provided the first looks at this tile-laying, city-building game. Since then, Clever Mojo Games has sent over a fully-functioning, super-slick prototype for me to test out. And after testing my skills as a budding city planner I can honestly tell you: This one is coming along nicely, and is well worth the hype. The result from mine and Monkey's first playtest. She won, of course. See the scoreboard at right? One trip up the building gains you a point; if you land directly on the star, you get a bonus point! The first time Monkey238 and I took it for a test spin the rules seemed rather straightforward, and the scoring system had been revamped. Typically, players can score points in each of the two main phases: Zoning and Construction. 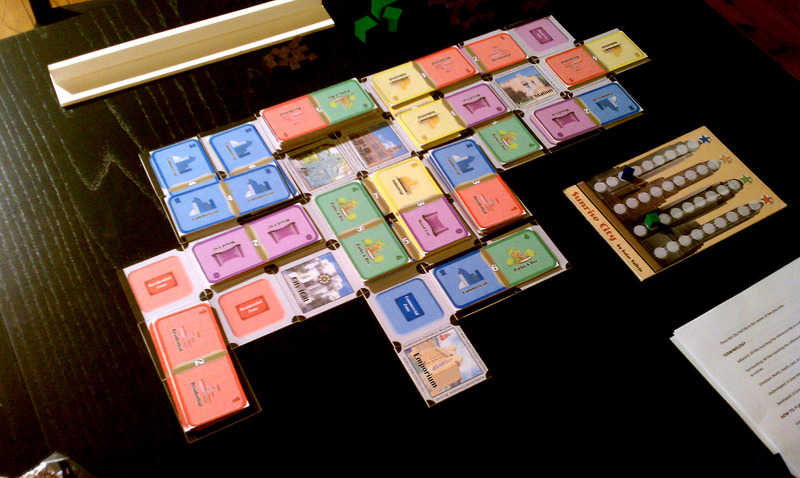 In Zoning, players take turns playing a set number of Zone tiles from their hands to form the base of the city. If a player places a Zone tile adjacent to one or more matching Zones, they score points accordingly. This encourages the build-up of districts, which makes construction easier. This phase includes quite a bit of tactical thinking, as many players want to maximize their chances of being able to play building tiles later during the Construction phase. In between the Zoning and Construction phases comes a Bidding phase. Each player has 7 markers —numbered 1 through 7 — that they take turns placing number-side down on Zone tiles. Players want to win as many bids as possible, and in the most advantageous spots, as they can gain bonus points when Building tiles are placed on Zones they own. After bidding is complete, the Construction phase begins. Players then take turns placing their Building tiles on the appropriate, newly-placed Zone tiles, or on top of Building tiles that were placed in previous turns. Scoring and play are also influenced between rounds by certain Role cards that are selected at the beginning of each turn. These Role cards grant a special ability to players that can shake things up during scoring in certain phases. 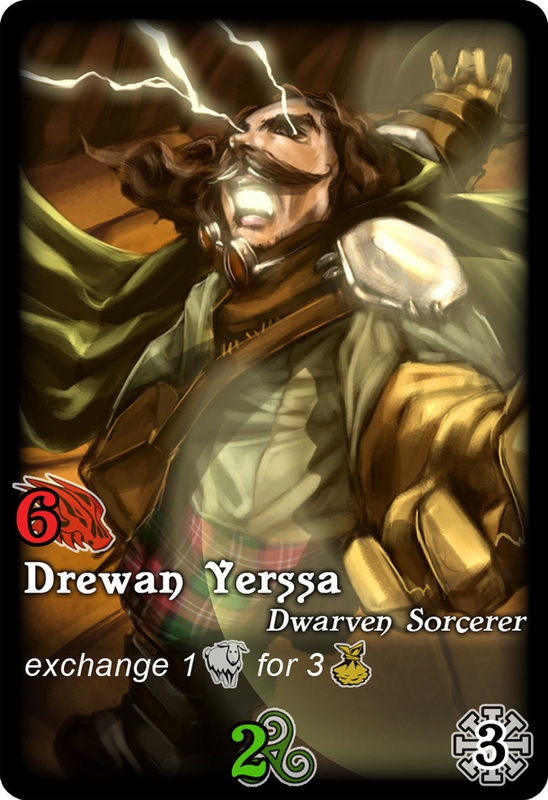 The Role cards also determine turn order, so an integral part of total game strategy comes in selecting the right Role card for the maximum advantage in each turn. I recently ran a playtest with two other gamers who knew next to nothing about the game, and both enjoyed it, added notes for improvement, and said they’d love to get a copy when it comes out. Expect more playtest experiences, as well as design tweaks and updates, as Sunrise City builds toward a release. Cocktail lounges, hipsters, skulls, martinis, monkeys... need I say more? I have played many games in my day… I have reviewed many in my day. There is rarely a game I’ve encountered that I haven’t been able to, within a few moments time, grasp the concept, strategy, mechanics, and over-arching theme. Then David MacKenzie sent over designer Seth Roback’s ideas for the wildly-original Swinging Jivecat Voodoo Lounge. The theme? Oh, having been a fan of cocktail and Tiki culture for most of my adult life, I got the theme immediately. But the rest left me scratching my head in a befuddled, but highly-intrigued, manner. Had I just read the ramblings of a madman, or a genius? Over the next few weeks I soon discovered that I was dealing with both. The best way to describe Swinging Jivecat Voodoo Lounge (SJVL) is directly from Clever Mojo: This is a “new board game based on the cocktail-era of the fifties and sixties and inspired by [lounge art]… Briefly, the game displays four cocktail lounges, the Tiki Lounge, the Lava Lounge, the Cocoa Lounge, and the Neptune Lounge. Each lounge is peopled with highbrows, hipsters, and lowbrows, and the players are voodoo spirits using spells, strategy, and cocktails to build cliques of increasing power. 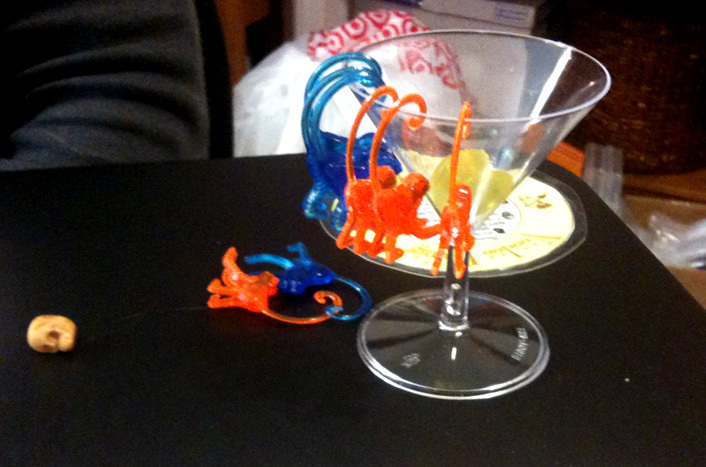 Yes, he said cocktail monkeys for scoring. You know you want this. Having since read the rules and seeing the prototype develop, I can safely say that Swinging Jivecat Voodoo Lounge is going to be the bees knees. Every hepcat out there will know that this game is real in, man. And by all that I mean, SJVL promises to be a far-out experience. Dig it. As always, look for more about this hip experience as Clever Mojo continues to playtest this one, over many, many cocktails. Development of this deck-builder continues to roll along, but designers W. David MacKenzie and Fred MacKenzie have decided to refocus the mechanics to help the game stand out from the ever-growing deck building crowd. The MacKenzie brothers have enlisted the help of Alien Frontiers designer Tory Niemann to streamline the development process. Clever Mojo Games is taking the time to make sure the game is of the utmost quality, and to build anticipation for the release. The company hopes for a late 2011, early 2012 release. As always, Dice Hate Me will continue to provide updates on the development as the process continues. I am so looking forward to Sunrise City…I really enjoyed the Prototype and can’t wait to see what the finished product is like. 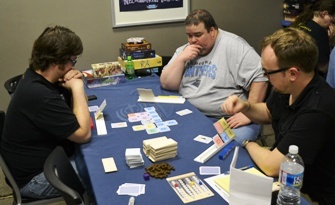 Thanks again for allowing me to help playtest this game. Shawn – I’m glad you enjoyed playing Sunrise City, and it was great playing with you! 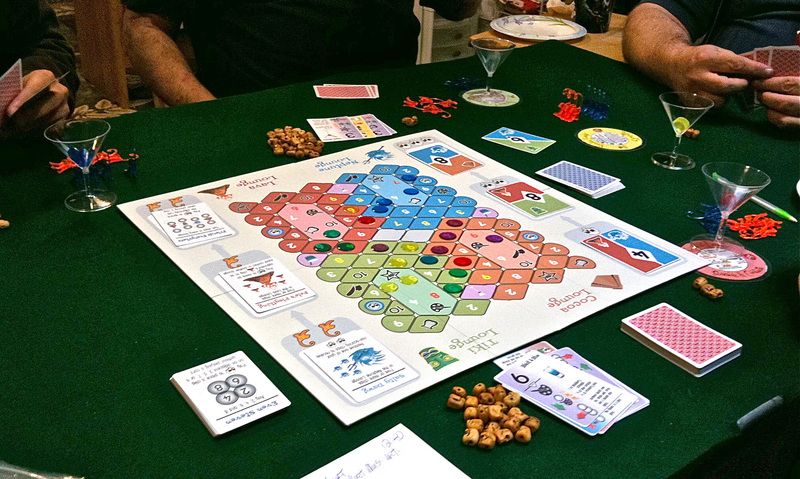 I’ll be bringing the prototype to Hypermind again, with the tweaks that have been made through playtesting. Seth – I can’t wait to get a real prototype, either! It’ll certainly help me wrap my head around the product of your mad genius a bit better.